Fresh and cool, this marvellous Mint Green Flapper Dress is a stunning Spring Style that will totally revamp your look. 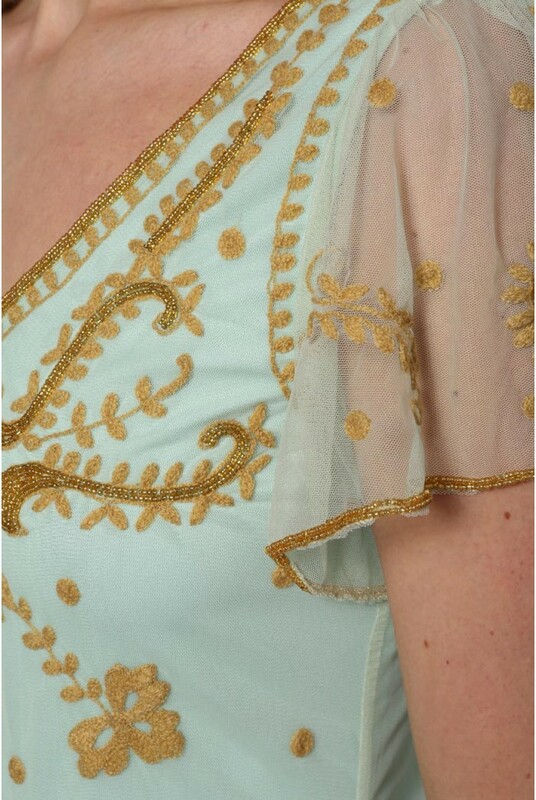 That wonderful tone makes this pale green flapper dress the ideal vintage bridesmaid dress or even a wonderful 1920s wedding guest dress for a light, elegant look. We are hooked on that elaborate embroidery and the super cute capped sleeves that make this pastel flapper style dress a detailed but understated beauty. Team this scalloped dress with gold tone jewellery and a headband to complete the look. 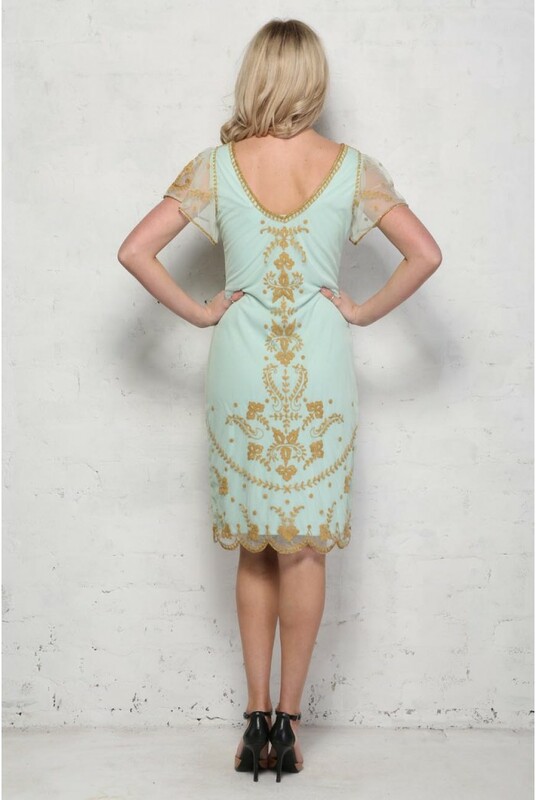 This is a mint green sheer flapper dress with underslip featuring scalloped hem line, drop waist, round v-neck and sheer, scalloped cap sleeve. The dress boasts a gold embroidrerd floral and ornate frame pattern to bodice, hem and cuffs.